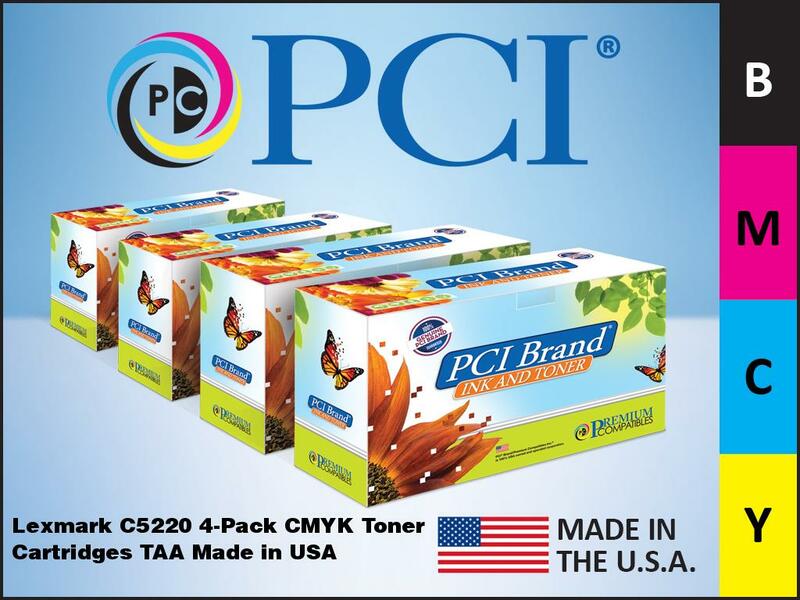 PCI Brand® Lexmark C5220CS Cyan Toner Cartridge Replacement - Premium Compatibles, Inc. 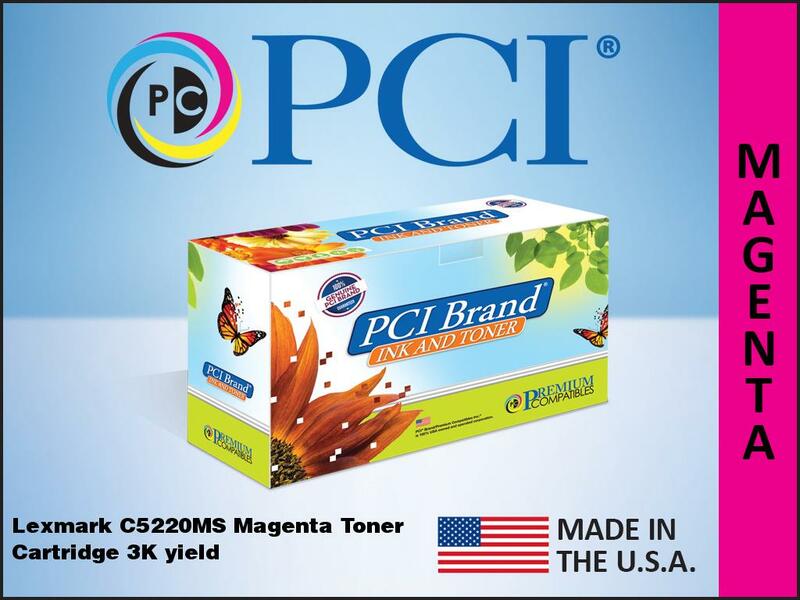 This PCI Lexmark C5220CS Cyan Toner Cartridge yields 3,000 pages at 5% coverage. 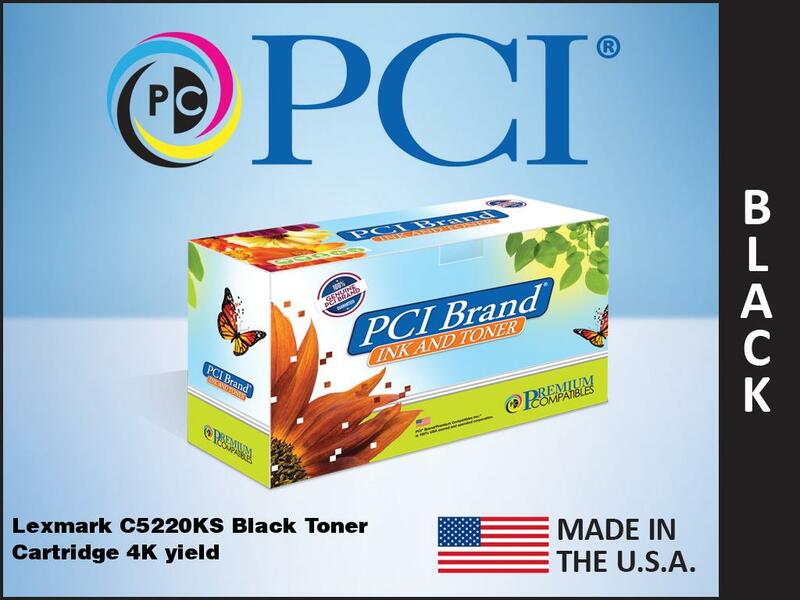 It is backed by our Premium Promise™ 1 year Factory Direct Warranty and is Guaranteed to perform equal to or better than its OEM counterpart. 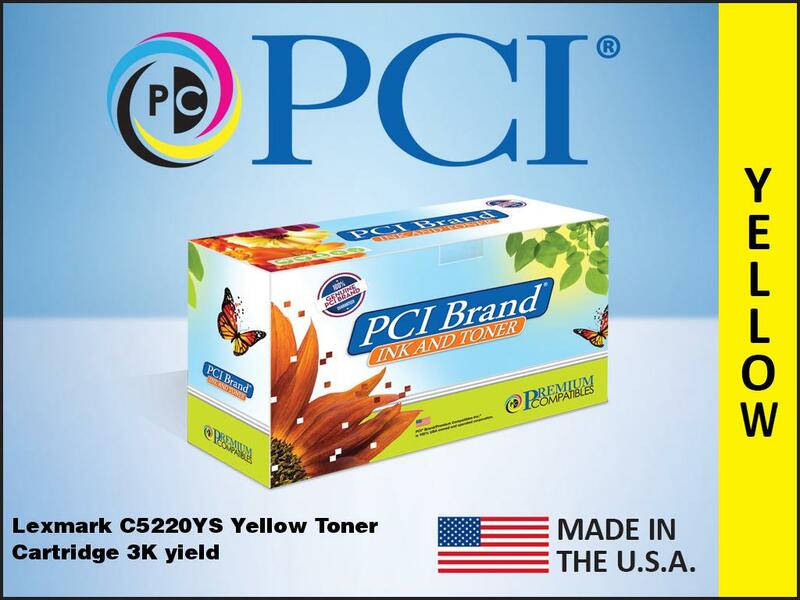 Quality Made in the USA it is TAA and GSA Compliant.